Adidas is a company which proudly announces its roots in sports. Adidas always seeks the way to satisfy the needs of sportsperson and in order to accomplish its mission; Adidas create, design and manufactures the products which are the weakness of sportsperson. To hit the favorites of golf sportsperson, Adidas has introduced the products especially for the golfers. It is specially manufacture the polo, t-shirts and caps for the golfers. These Golf apparel are too stylish and trendy, moreover they are too comfortable and soft in order to provide full support while playing the game. Adidas never settled for the average, so it has introduced the best Golf apparel in the market and win the heart of Golfers. If your team is looking for a uniform then All Sport is a place entirely for you. All Sport believes in team spirit and recognizes the importance of team apparel that is why it provides T-shirts, shirts, polo and jackets for the teams like baseball, Gaa, basketball and others. All Sport is a name of sports apparel with high quality and almost durability. All Sport always promises to search and find right brand for its customer, which can fulfill the needs of them with high quality and fewer prices. All Sport also offers screen printing and embroidery so you can choose your favorite piece of clothing and let them decorate it with your favorite tags, pictures or logos. Anvil is a brand of versatile fashion needs. It offers the entire wardrobe essential with ultimate fashion sense and unique styles. They are proud to offer crew neck T-shirts to sleeves scoops, from stylish hoody to classic head wears; it has something offer to you in order to satisfy your need of modern clothing. Customers of Anvil are always confident that they are having modern lifestyle with the satisfaction of great quality and bright colors. If you are looking forward for best and affordable office wear then Ash City - Core 365 is best for you. It has vast range of outfits which cater your modern and stylish needs of professional responsibilities. The most appealing feature of Ash City - Core 365 I its bright colors and various sizes. Whether it is Pique polo or vest, lightweight jackets or fleece jackets, each product is the mark of quality and comfort. Its Long sleeves twill shirt is too cool while performance pique polo provides you chic and care free look. Fleece vest of Ash City - Core 365 is the most popular product because it offers several colors in different sizes. Ash City - North End Sport is a winter friendly brand for sports person. A sports person always needs a comfortable outfit without any compromising on the comfort. In winters this need increases even more. That is the point which instigate - North End Sport to create that brand which gives sports person stylish look and keep them comfy in harsh winter season. All the products of - North End Sport are available in trendy colors and various sizes. One can easily choose its favorite products among the range of - North End Sport. It truly can compete the high end brand but in pocket friendly manner. Augusta Sportswear is actually a collection of sportswear brands, which ensure its customer to provide products in their mission of healthy and happy lifestyle. The collection of Augusta Sportswear is always eager to design those sportswear, which are not only comfy but they should be stylish. Augusta Sportswear actually encourages people to get healthy lifestyle in order to get indulge with sports activities. With other sportswear Augusta Sportswear also proudly manufacture the casual clothes like hoody, fleece apparel, T-shirts, shorts, pants and etc. Their casual range is too cool and it is certainly would give your wardrobe a different style. 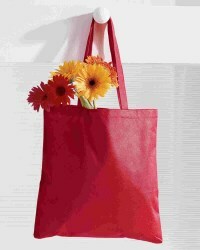 BAGedge is emerging brand of bags and tote. 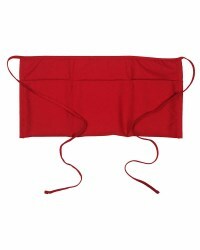 BAGedge offers range of bags with best quality and durability. Their bags are available in eye soothing colors. Their styles are simple yet pretty. The bags have pattern and designs which can compliment your personality and the event. Now a day bags are not only bags. They are symbol of your personality and reflection of your taste. Their commuter backpack is available in black color which gives it simple sophisticated look while their canvas promo tote is available in pink color to look funky and adorable. The canvas book tote is so cute in two different colors while canvas boat tote looks pretty and classy. Bayside is a proud American brand which proudly tags its apparel with “made in USA” The most emphasized area of Bayside is to provide fashionable and trendy colored products. Bayside always thrive to produce those colors which are demanded by the customer. Along the color demands Bayside also keeps track of demanded products and styles. Its winter collection includes sweatshirts, caps, beanies, and hoodies while its summer collection has T-shirts, pocket T-shirts, long and short sleeves shirts. The most prominent feature of bayside products is coziness. Whether it is T-shirt or sweatshirt, beanie or cap each product is reflection of high quality and comfort. Big Accessories offers wide range of bags, caps, and apron. Big Accessories is specially specialized in bags. Their bags are known for its durability. Big Accessories claims that their bags never break. The claim does not end here. They also do not break the pockets either. That means quality in pocket friendly prices. 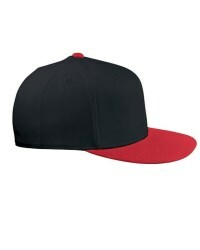 Cotton 6 panels’ caps are the most demanding product of Big Accessories. It is simple yet classic while their reflective accent safety caps reflect true safety color to fulfill safety measure. It is really cozy and stylish. Other trendy products of Big Accessories include watch cap, apron with pockets, Guide hat, crusher bucket cap, etc. Code V is brand always eager to provide camouflage shirts or T-shirts. Code V ensures quality and comfort despite of limited styles. The king of camouflage Code v does not only provide T-shirts and shirts for adults and young’s but it also offers camouflage rompers for babies and infants. Camouflage hoods are the most attractive innovation of the Code V because it has appealing design structure, nice stitching and soft fabric. Long sleeves camouflage shirts are the hottest trend now a days and code V guaranteed its customer to have best quality camouflage shirts in reasonable price. As suggested by the name comfort colors offer apparels which are too cozy and have attractive colors. The soul satisfying colors of comfort colors products are the most core trait of their products. Comfort Colors is always oblige itself to use traditional but effective dye process to provide you best apparel with awesome colors. The craftsmanship of Comfort Colors is truly inspiring and each design proves the crafts skills of manufacturer. The story does not end here; to compliment the apparel and complete the looks Comfort Colors also offers accessories which are high quality, durable and appealing. If you are looking forward for the best tie-dye outfits with bold cuts and trendy styles then there is no choice better than Dyenomite. Dyenomite is a unique brand which offers over 150 ready to ship products. The most unique quality of the Dyenomite products is they dye products by hand. Whether it is their sweatshirt or their baby gear or their T-shirts each is dyed carefully by human hands so the customers can experience both traditional tie-dye experiences with modern stylish designs. These designs are too cute and too attractive. The spider style attracts young generation, the rainbow color design is appealing for everyone. Econscious is a brand of organic products. Whether it is a T-shirts or caps, bag or accessories econscious all of them are organic and econscious is proud of them. The multi products brand is always eager to create those products, which are day to day need of a common person. Econscious’s products are indeed cater the daily needs but with the class and quality. Econscious makes sure that whatever they produce, produce with higher quality. The most demanding product of econscious is organic cotton classic T-shirts, which are good for screen printing or logo designs. The recycled hat is gift for environment lover and tote bags are the love of them. Fruit of the Loom is a prestigious brand, which is as old as the inventions of telephone, bulb or airplanes. Fruit of the loom is a name of continuous effort and hard work of providing quality underwear and stylish casualwares. Fruit of loom does not only promises quality and comfy fabric but it also proved its undershirts, boxer and briefs as competitive products, which have prominent superiority over its competitors. Their T-shirts are too colorful and lively that it appeals both men and women. The collection of women intimate apparel is just awesome. The range of thermal wear and active wear are promising. They are comfortable yet stylish. FUL is a renowned manufacturer of bags and luggage. In fashion world bags are not the only sign of carrying possession. It also reflects the class and style. Bags lover are always keen to look that bags which compliment their personality and occasion. FUL is the one of those brands which understood this need quickly and it always tries to produce those bags which are game changer. FUL offers backpacks which are spacious yet simple. Their alleyway boot legger has unique design with sober colors. Their cruncher backpacks are too trendy while their coretech rat race messenger is simple but elegant travelling bag. Gemline is really a Gem in its field. It offers wide diverse products and the most appealing trait of these products are their prices. Gemline is always keen to supply those products which are budget friendly. Gemline is also considered as the largest supplier of office supplies, gifts items, business accessories and bags. Gemline is always keen to innovate those products which have cutting edge technology with high quality. Gemline is famous to introduce trendy products in the market. These products instantly got his due to their uniqueness and classiness. Gildan is a Canadian based manufacturer which offers wide range of active wears. The most important trait of Gildan is it is mainly used for screen printing and designing. It offers blend of fabric which suits screen printing at the most. Most of the high end brands acquired Gildan shirts or t-shirts to print their own design or logo. The main reason of using Gildan products is its good quality and durable fabric. The light weight fabric with extra softness is another key strength of Gildan. Gildan strength is their best quality fleece. Their fleece has power of knocking out winters with classical styles and admiring colors. Their crewneck variety is yet another name of success and approved equally by both genders. Harriton is a famous well known brand for casual wear. They are specialized in T-shirts. Harriton has been used efficient technologies in their T-shirts. The satin release t-shirts are life saver for work. Their poly tech polos are breathable and dry quick. They even have UPF 50 protection. Their fleece are soft but warmer, their Nylon jackets are true winter companions as they keep you warm without compromising on style or fashion. Harriton is also women favorite that it provides clothing with class and trends. Women who wants to look fashionable but with coziness are always prefer to buy Harriton wide range of polo, T-shirts, jackets and hoody. Izod is a proud brand of informal or casual clothing. It specially targets its customer by capturing the outfits for the weakened or parties. Izod actually offers outfits which do not compromise on style or fashion trends but it also do not let its customer compromise on its casual looks. Whether you are having an evening party or you are hanging out with your friends or you have to go to casual family dinner you will have to something choose to wear and staple your wardrobe from the collection of Izod. Izod is the name of quality, comfort and classiness with pocket friendly prices and colorful outfits. If you are looking for perfect sportswear for your team with your team graphics then the best choice for you is J America. J. America is famous and renowned company, which has been manufacturing sportswear for ages. The products of J America are meant to be a team uniform with logos or custom designs. From school to high school and from high school to college J America promises you to provide your sports activity a perfect fit in terms of sportswear. From Basics tee to vintage style, From women to youth, J America can provide various types and styles of sportswear. You name it they have it. 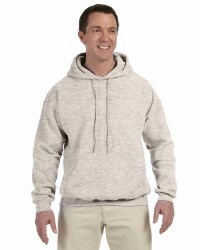 Jerzees is proud manufacturer of wide range of fleece, sweatpants, sportswear, T-shirts, hoodies and others. Jerzees is the name of style and comfort without compromising on the quality. The name of jerzees is synonym of style and trend, which always rank higher in the fashion field. 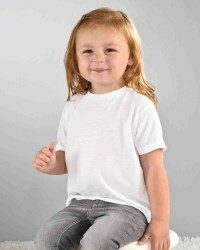 Jerzees T-shirts are specially too appreciated due to their large varieties of colors. From Young to old each can find the color as per his/her fashion choice. The fabric which are used in Jerzees products are of best quality with subtle stitching. The availability of different sizes is another plus of the Jerzees products as it makes shopping easier for people of every size. LAT is a unique brand. It offers wide range of T-shirts for all. The collection of LAT is for men, women, young, curvy. The T-shirts are classified through neck design such as deep neck, crew neck etc. They are further classified as zip styles like full zip, half zip or quarter zip. 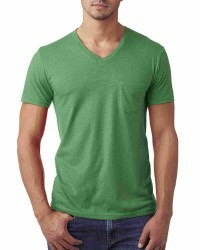 Another aspect of T-shirts classification is by fabric or by sleeves style. The products of LAT are actually used for screening and printing. LAT offers basic colors in their product so one can acquire any design on it. New Balance is name of brands which believe to cater all the needs of athletes. New Balance offers wide range of products for sports person. These products are reflection of modern lifestyle and fashion trends. From clothing to accessories, from footwear to sports essentials New Balance has products to make your style comfortable and classy. The most difficult task in apparel and other accessories industry is to cater the needs of athletes because they do not need products which are comfortable but they also need the products which are durable yet trendy. An athlete cannot gain popularity and fan following if he wears boring outfit. After understanding this point New Balance always brings modern cuts and designs into its products. Next level has been in the apparel industry to provide outstanding quality and super colored clothes by introducing new technologies. Next Level is the name of innovation and standard. Their products are surety of colors, durability and right fit. Next level is also considered as top fashion suppliers of the town because they provide variety of styles with great deal of high standards and trendy cuts. Their CVC jersey provides utmost comfort because they are heavenly soft and gives nice fitting. Their Raglan is comfortable and offers wide attractive range of colors. Its Fleece is warm, winter resistant, and durable. Its tri blend technology has classy designs and sophisticated colors. OccuNomix is a unique brand but it is rather more important and considerate brand because OccuNomix Offers great range of safety gears. It is a proud designer and manufacturer of safety equipment which are true needs of one’s daily safety needs at workplace. OccuNomix claims that it provides those equipments which ensure your safety from accident or weather harshness. By using OccuNomix products one can prevent itself from the danger posed by the work nature. Products like back support, safety vest, wrist support, Bead vest, insulated cold weather parks, Bottom bomber jackets are true workplace companion for those who work in demanding environment. Robinson Apparel is recognized as one of the oldest brands of US. It is proud manufacturer of the apparel, which tend to adapt modern way of clothing and outfits. 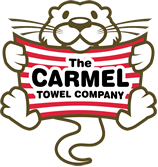 It’s a brand, which has mission statement of honesty, integrity, and character. No doubt Robinson Apparel fulfills is three of their moral duties by providing quality garments in lower prices with long durability. Robinson Apparel offers both winter and summer apparel. Their flannel range of collection is worth trying. They keep you warm in harsh winter without compromising the comfort. Their summer collection has breathable materials like cotton. Robinson Apparel also has to offer unique boxers design, which promises you comfort with quality. Storm Creek is a name of passionate brand which always eager to produce those jackets or coats which can be true companion of its customer in winter or in rainy seasons. Storm Creek started to cater the needs of jackets for its corporate clients, which slowly evolve to produce winter needs for all levels. Now Storm Creek owns a large variety of coats, jackets, fleece and other. Its collection of rain coats are simply awesome which does not only provide guard in rain but also looks too stylish while its fleece jackets have technology to be soft yet warmer to make customer feel comfortable. Athletes are always keen to get those outfits which provide them modern looks without compromising the comfort. 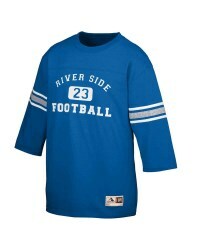 Team 365 truly understands it and offers that apparel, which fulfills the need of cozy clothing of sports persons. Team 365 is always eager to manufacture trendy looking shirts, hoodies and pants for both men and women. Team 365 uses the technology of spandex blend with light weight polyester to keep you comfortable yet breathable. The most appreciating aspect of Team 365 clothing is its wide range of sizes. Nearly everyone can find his size from their collection. ThreadFast has been serving the apparel industry for more than 25 years. It is known for its fabric selection, comfort, and great fit. ThreadFast is always eager to produce those fabrics which are comfortable regardless of occasion or event. The cuts and designs of ThreadFast are unique with modern touch. The styles are too cool and reflects trendy image of the customers. ThreadFast promises great fit. Their clothes are born to fit as they are supposed to be. Whether it is tees or tanks they are adorable and classy. Hoodies and jackets are trendy and modern. Each piece of ThreadFast is a master piece of quality and durability. Adding vibrant colors in a wardrobe is always fun. Tie-Dye brings this fun to you at optimum level. Tie-Dye produces colorful apparel which fulfills the wish of one’s who are always eager to wear colorful clothes. Tie-Dye clothing is of different pattern and design. Each pattern is made carefully to compliment modern fashion needs and style. With colorful designs Tie-Dye also promises quality products. The 100% cotton T-shirts in vintage style is a unique Tie-Dye product while the long-sleeve T-shirt in blue spider design is too cool. Cotton marble design is a unique design offers by the Tie-Dye which immediately becomes favorite to most of the customer. If you are looking for a diverse variety of clothes for all age, gender and styles then you should have a look to Ultra Club. Ultraclub brings quality apparel with fashion diversity. UltraClub indeed provide various different types of clothes such as polo, knitted wear, caps, T-shirts, bags, sweatshirts etc. Their polo has nice colors, wide range of sizes and good quality. Their caps are elegant and cool. Their knitted wears are classy and trendy. Their T-shirts promise comfort and great fit. The distinguish characteristics of the garments are easy to care, easy to wash, durable and fashionable. It is indeed satisfies the taste of everyone whether it is women or men, children or senior citizen.